Hampshire is a county on the South Coast of England, bordering Dorset, Wiltshire, Berkshire, Surrey and West Sussex. Its major towns and cities include Winchester, Southampton, Portsmouth, Basingstoke, Aldershot and Newport. With a population of approximately 1.2 million people and covering an area of roughly 360,000 hectares (excluding Southampton and Portsmouth), Hampshire is one of the largest non-metropolitan or "shire" counties in England. Limo hire in Hampshire has become very popular in recent years and the vehicles available has responded. As a limo broker covering the whole of the UK, including Hampshire, we have access to these amazing limousines. Limotek along with our superb Hampshire operators can provide massive Hummer limo hire (available in black, pink, white or gold), Navigators, Ford Excursions, Porsche Cayennes, C300 Baby Bentleys, Fire Engines and many more. For a complete list of stretch limo hire in Hampshire, contact us today. Hampshire is one of the traditional counties of England, with a recorded history dating back to Anglo-Saxon times, over 1,000 years. "Hampshire" is often abbreviated in written form to "Hants" .The abbreviated form is derived from the Old English Hantum plus Scir (meaning a district governed from the settlement now known as Southampton) and the Anglo-Saxons called it Hamtunschire. At the time of the Domesday Book (1086) this was compressed to Hantescire. Hampshire is full of history and many of the fantastic locations and attractions in Hampshire can be visited using a variety of stretch limo hire. Contact us to book a fantastic limousine in Hampshire. Hampshire is a unique county of rolling green hills, tranquil 'chocolate-box' villages and ancient forests, combined with modern and vibrant cities. We cover all areas in Hampshire including Winchester, Portsmouth and Southampton. Less than an hour from London, Hampshire is rich in cultural heritage, varied coastline and unspoilt countryside. Jeep Expedition 4x4 limos can be used from Hampshire to the following easy to reach destinations, Bournemouth, Stonehenge, Salisbury, Oxford and Windsor. Contact us now for some amazing deals for limo services in Hampshire. Don’t delay contact Limotek for your school prom limousine in Hampshire. A very popular time of year, you need to book months in advance to be sure you get the vehicle you want. Contact us today for school prom limousines in Hampshire. Aldershot is the home of the British Army and offers a fascinating insight into our military history. Hire a limo in Aldershot to explore this history with some very classy vehicles such as the Baby Bentley limousine or the more military Hummer limo in Hampshire. Alton is a thriving market town in East Hampshire with plenty of shops and arcades. Ladies, why not use a limousine for a shopping spree in Alton. 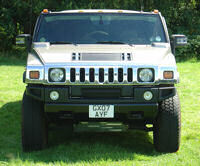 The Hummer is available to rent in Hampshire and will be great for all those shoes. Contact Limotek today for all types of limousine rental in Hampshire. Andover is another market town in Hampshire situated in the Test Valley. With its attractive high street and narrow walkways, Andover dates back to Saxon times. Rent a limo in Andover with a touch of class for its beautiful high street. Contact us for limousine hire in Hampshire. Hampshire is a popular holiday area, with tourist attractions including its many seaside resorts, the maritime area in Portsmouth, and the motor museum at Beaulieu. The New Forest National Park lies within the Hampshire borders, as does a large area of the South Downs, which is also scheduled to become a National Park. Hampshire has a long maritime history and two of England largest ports lie on the Hampshire coast. Hampshire is famed as home of the writers Jane Austen and Charles Dickens. Visit the seaside resorts in Hampshire in an amazing limo. You may find that limousine rental in Hampshire is often a lot less expensive during the off peak times i.e. Sunday-Thursday so for cheap limousine deals in Hampshire contact Limotek.co.uk today. We have searched all over Hampshire for the best operators and the finest limousines. Our operators are fantastic and offer a professional and courteous service. They will always go the extra mile to make sure your experience is the best and have the finest limousines around. Superb gold and white hummers, Ford Excursion 4x4s, black Porsche Cayennes, silver BMW X5s, Range Rovers, cream Baby Bentleys, Red Fire Engines and a massive selection of stretch Lincolns (including the white, pink, blue and black). For the best limousines Hampshire has to offer, contact us today. Basingstoke is an interesting combination of old and new with old buildings, pavement cafés and bistros nestling alongside one of the best contemporary shopping and leisure centres in Hampshire. Rent a fantastic white stretch Lincoln in Basingstoke, we are taking bookings now. Contact us to book that special limo in Basingstoke. Portsmouth is a city surrounded by sea and its history is strongly linked with the Royal Navy. Portsmouth houses some superb military and maritime museums including the Historic Dockyard, home to HMS Victory. Use a limousine in Portsmouth as an airport transfer service or make a day of it with a fantastic Porsche Cayenne. Contact Limotek for more suggestions for limo services in Hampshire. Southampton's appeal lies in its diverse nightlife. 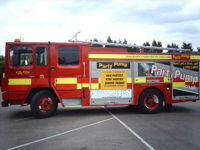 Fantastic nights out are to be had here, the clubbing capital of Hampshire. Fantastic limousines can be hired to make an entrance at the many clubs and bars. Huge Hummers, Exotic Porsche Cayennes, the BMW X5 and Range Rover limos are all available to rent in Hampshire. Contact us today and find the limo service you really want in Hampshire. Winchester is an unspoilt cathedral city on the edge of the rolling South Downs. It is England ancient capital and the former seat of King Alfred the Great. It has superb shopping facilities which are great for limo hire inHampshire. Contact Limotek today for airport transfers to heathrow airport from Winchester.